The Jonestown Sprint is a fat-burning cardio workout. It’s used as part of celebrity workouts, including the Gerard Butler Workout, Henry Cavill Superman Workout and the Ben Affleck Batman Workout. The idea is to use plyometric exercises to create a better body. The result is a total-body, cardio workout that shreds fat. The Jonestown Sprint is a fat burning, circuit workout. The Jonestown Sprint is typically a Push Press + Burpee/ Pull Up combo. The reps are 20x-20x-10x-10x reps of each. 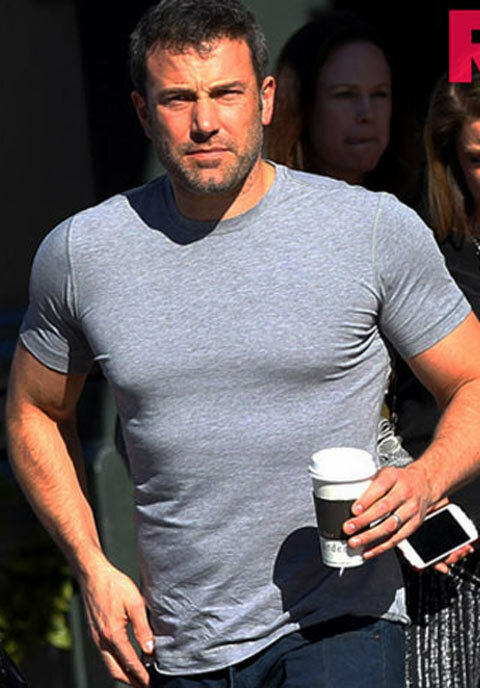 Ben Affleck used the Jonestown sprint to burn fat while preparing for his role as Batman. So, you do 20 Push Press, 20 Burpee / Pull Ups combo. Then, 10 Push Press and 10 Burpee/Pull-up combo’s after that. Start with 20x Push Press, dipping the hips and knees slightly. Drive the barbell overhead, all the way to full extension. Maintain control of the bar. Use the legs not the arms and shoulders, once finished rack the bar and set up under the Pull-up bar to do 20x Burpees / Pull Ups combo (Do a Burpee but instead of the normal finish). Usually, the actors do 2-3 sets of this circuit. Perform as a circuit, so do one exercise, the next, then rest. When you’ve caught your breath, do it again. Other exercises are often substituted for the Push Press and Burpee Pull Ups. Exercises are substituted to change up the workout routine, and keep the body guessing. The key is doing exercises that challenge you in quick succession. Circuit training workouts are where you do 1 set of each exercise. Move onto the next exercise, then rest (if needed). Once you’ve completed one set of each exercise in the circuit, repeat 2-3 more times. Here’s a video of the Jonestown Sprint Workout in action.